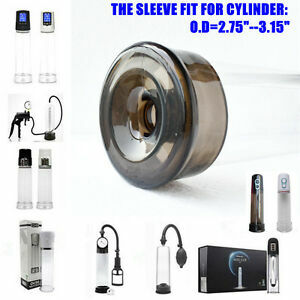 Softest and most comfortable cylinder sleeve I've used. Stretchy enough to be easy to remove after pumping; not sure how long it will last, but for the price, I might order another one just to have as a spare. Fits my 3" O.D. cylinder well, but probably wouldn't work on anything smaller. Used twice and Ripped. Could I receive another one shipped? Maybe a defective one. Arrive with small stretch mark.. VERY GOOD AND HARD TO FIND GO FOR THEM!! THESE THINGS DUE WHERE OUT OVER TIME BUT THAT IS NORMAL SO FINDING THESE REPLACEMENTS IS A GOOD THING, THEY WHERE AT A VERY GOOD PRICED ALSO! !